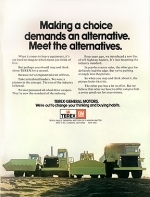 In 1978 Victor Fedeli returned to his home town of North Bay and opened Fedeli Advertising. It was the first full-service marketing firm north of Toronto, and became a wildly-successful venture. Fedeli Advertising reached its pinnacle of success when it was announced that it was ranked 34th in the 50 Best Places to Work in Canada. “One of my goals was to make my company the kind of firm I’d like to work for”, said Vic Fedeli. “It was difficult at first, but as the business grew, I wanted to share this success with our people.” Another great moment for Fedeli Advertising was when Vic was recognized as one of Canada’s Most Successful Entrepreneurs in an episode of MoneyMakers, the national radio show hosted by Everett Banning. Fedeli Advertising had a wonderful group of clients found locally, nationally, and internationally. Many of his clients were worldwide mining corporations, and this gave Vic (and his talented writer wife Patty) an opportunity to see the world. In fact, Vic has travelled to close to 100 countries, which continues to help him see the big picture when planning any project. During the company’s heyday, Northern & Central Gas was the firm’s premier client, offering natural gas service to 52 communities in northern and eastern Ontario. This million-dollar- a-year client propelled Fedeli Advertising (later named Fedeli Corporation) into the big leagues and built the base for later philanthropic ventures. Fedeli Corporation has won numerous international marketing awards for their advertising campaigns, corporate identity programs, brochures, packaging, and was an early-adopter of electronic marketing. Vic sold the firm in 1992 and spent the next 18 years working for $1/year at various non-profits. When Nipissing University embarked on their first-ever fundraising campaign, they turned to Vic Fedeli to serve as Co-Chair and lead the campaign. Vic made a $250,000 donation to kick the campaign off. At the time it was the largest donation the University had ever received. 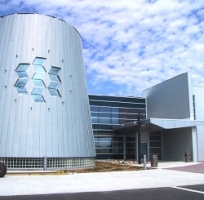 The donation was used to build the Vittorio Fedeli Business Centre, in honour of his grandfather. The 125-seat multimedia lecture theatre is still the ‘go-to’ room on the campus. 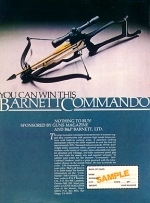 In addition to Co-Chairing the campaign, Vic maintained an office at the University where he wrote the business plan to raise the funds, and created all of the marketing materials for the entire campaign. Less than $200,000 was spent to raise the $3.7 million required – a remarkably low percentage, considering most campaigns are in the 15-20% range. Vic gladly accepted the many university, fundraising, and advertising industry awards that were won for this successful campaign. Once the fundraising campaign was completed, Vic stayed on at Nipissing as the first Director of the Centre for Northern Business Development; a department he continued to fund. When the federal government announced the closure of the airside portion of local Canadian Forces Base, this came as a devastating blow to the City of North Bay. Thousands of people were once employed there, as it was home to the 414 Squadron. There were hundreds of thousands of square feet of abandoned aircraft hangars; all left to fall into decay. In 1996, Victor Fedeli and six other civic leaders formed a non-profit company and bought the abandoned site from the federal government for $1. As the group had virtually no money, and plenty of expenses coming their way for heat, hydro, taxes, maintenance, and insurance, Vic took over as volunteer Chairman of the Board and CEO of the company. He developed a plan to lease and subsequently sell each hangar for $1, in return for taking over all the expenses for each facility and providing a set number of jobs. This turned out to be a very exciting period for the city. 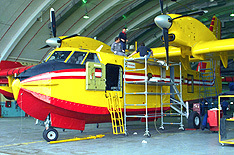 Air Base Property Corporation took over the abandoned CFB North Bay airside assets and turned the area into a vibrant Aerospace Centre. It is now home to Voyageur Airways, employing 350+ people involved in repair and overhaul of aircraft from around the world. 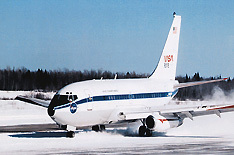 NASA spent 8 years performing winter runway friction testing, and brought international attention to the City’s vast airport facilities. 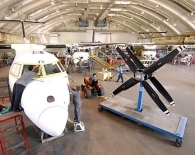 In addition, Canadore College built a brand-new $15 million School of Aviation, which provides a steady stream of employees for all the companies located in the Centre. The City of North Bay, in partnership with the federal government, resurfaced the 10,000’ runway – one of only four in Ontario and 15 in Canada – as a commitment to see the aerospace sector grow. When Canadore College made the decision to construct their School of Aviation at the Airport, they also turned to Vic to Chair the fundraising initiative. To lead off the campaign, Vic donated $100,000 to construct ‘The Hub’, a 70-seat lecture hall, named after his father, Hub Fedeli. Vic used his business and aerospace connections to help bring all the required funds to construct the new 240-seat school. He designed and produced all of the marketing and collateral materials and made personal visits to most of Canada’s aerospace corporations. The campus, which came in on-time and on-budget, is now set to expand, as all 240 seats are occupied.